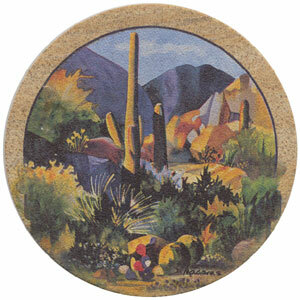 This matched coaster set features a Southwestern scene including a valley with Saguaroes in front of the mountains. The set comes with four matched coasters. These coasters are made right here in Arizona.